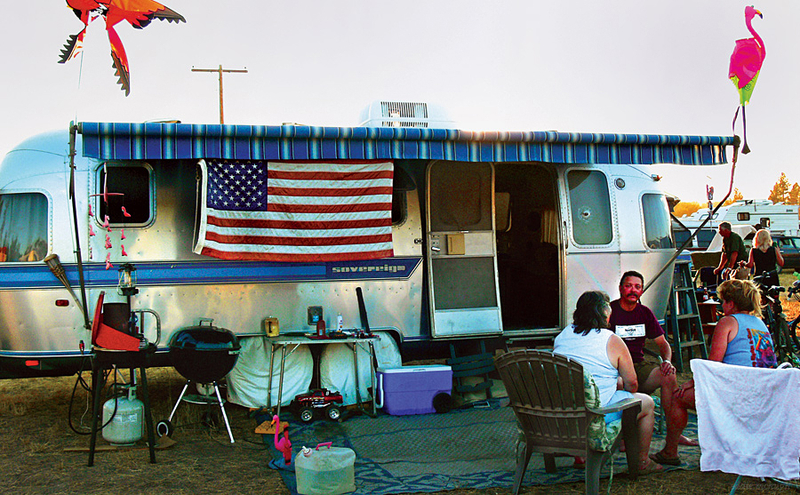 After recieving permission to photograph this camp site at the Winthrop Blues Festival in eastern washington usa, the woman in the white shirt followed after me to get my attention, she exclaimed emphatically " this is america, I'm glad your photographing it !" This would fit right in in any of Robert Francks, Martin Parrs, and for example, Jacob Holts studies on American life. I like this a lot. I agree with Andrew, Robert Franck could have taken this picture, really nice! How special and yes, indeed. I wouldn’t have told her, but they’re flying the flag improperly. Actually, they’re breaking the law. When it’s not on a pole it’s to be hanging downward. This is certainly ALSO America ! Thanks for this unusual picture ! Such a great slice of summer living and Americana. Your images are great! Very nice slice of America here. Great shot, and it’s neat that you caught the guy looking at you. Can you believe there’s a law about which way to fly the flag? What a way to spend the afternoon.. 🙂 Nice shot..
Have barbecue will travel… add a few flamingos and a flag and the image is complete. It is one America of several. Well done.